You know those awful Israeli checkpoints that Israel-haters love to complain about? It turns out that at the border between the West Bank and Jordan, the Palestinian Authority arrests hundreds of people every week - far more than Israel does! 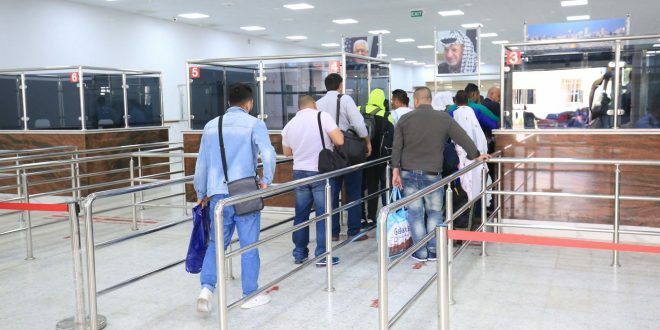 Last week, some 34,000 people traveled to and from Jordan through the Allenby Bridge. 10 refused entry by Israel - and 184 wanted Palestinians were detained by the PA going in either direction. The week before 33,000 people crossed and 223 arrested by the PA. The week before 252 were arrested out of 32,000 who crossed. all under the smiling visages of Yasir Arafat and Mahmoud Abbas. Hundreds arrested every week at Palestinian checkpoints. Are they legitimately criminals? Are they political dissidents? No one seems to care. Only Israeli arrests of Palestinians are worth reporting by the media.